In the course of its long and storied history, the Ford Mustang has proven itself to be one of the most desirable performance cars in the world. It’s a testament to the car’s appeal that it’s still revered in tuning circles to this day. That’s especially true in a country like Germany, which has no shortage of tuners spread out its own borders. 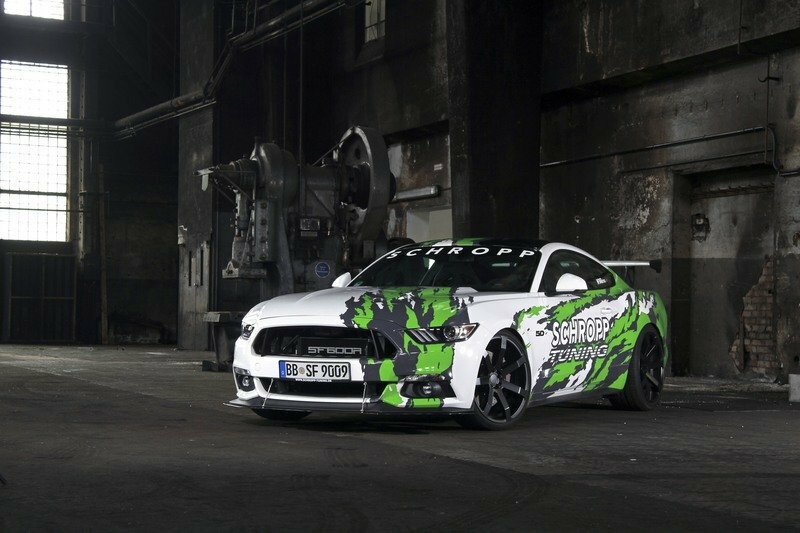 Geiger Cars has been tuning Mustangs for a while now and even lesser-known firms like Schropp Tuning have gotten in on the act. I’m not certain where GME Performance falls in that sphere, but what I do know is that it’s gotten in on the act of building tuning kits for the American pony car. Proof of that lies in this program that squeezes out a Hellcat-level power output of 705 horsepower for the benevolent ‘Stang. Truth be told, this is not the first time we’ve come across GME Performance. 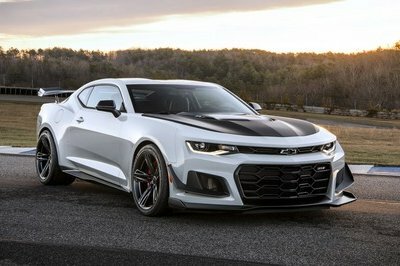 Over the years, it’s developed its share of desirable upgrades, including a 680-horsepower kit for the Chevrolet Corvette C7 and a 620-horsepower program for the ‘Stang’s chief nemesis, the Chevrolet Camaro. It’s even taken a crack at developing a kit for the Jeep Grand Cherokee SRT8. The result? 600 ponies and a 0-to-60-mph of just 4.1 seconds. It’s an impressive roster of tuner kits that’s bolstered by this new program for the America’s most prominent performance car. That 700-horsepower output may be the headline-grabbing feature of this program, but there’s more to it than that too. Rest assured GME Performance is one tuner whose name we should start remembering more often now. 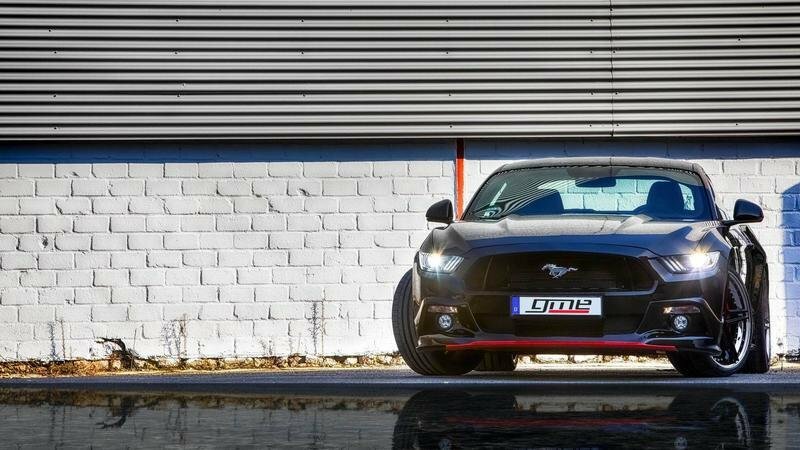 Continue after the jump to read more about the Ford Mustang GT by GME Performance. 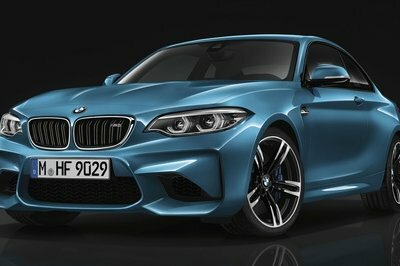 There is an aerodynamic body kit, which counts for a lot considering the handling and driving improvements they provide. 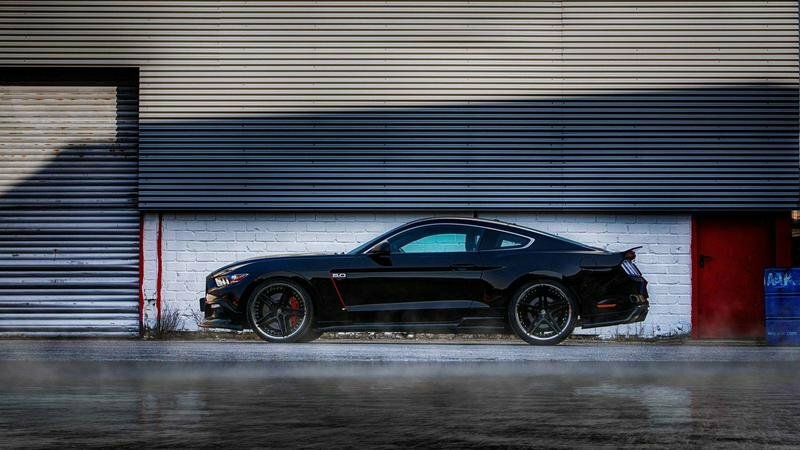 In terms of quantity, GME Performance’s exterior upgrades for the Ford Mustang GT doesn’t scream right out of the gate. There are no fancy wraps dressing up the muscle car nor are there any decals and graphic stickers on the body. There is, however, an aerodynamic body kit, which counts for a lot considering the handling and driving improvements they provide. Up front, there’s a front spoiler that’s noticeable with the red finish on it. Side skirts dominate the scene on the sides of the coupe and a trunk lid spoiler and underbody diffuser make up the upgrades on the Mustang’s rear section. 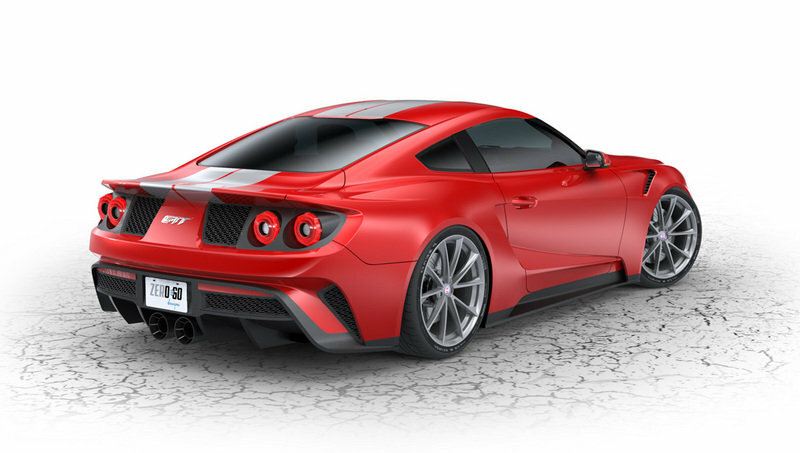 The tuner is also offering a rear spoiler, of which customers can choose from four different designs depending on the kind of aesthetic look they want to see on their muscle car. Finishing off GME’s exterior upgrade program for the ’Stang is a new set of 21-inch multi-piece GME FS-1 alloy wheels wrapped in ultra low profile tires. Overall, GME Performance’s exterior modifications for the Mustang is an effective program that provides aerodynamic upgrades in areas where there’s room for improvement. 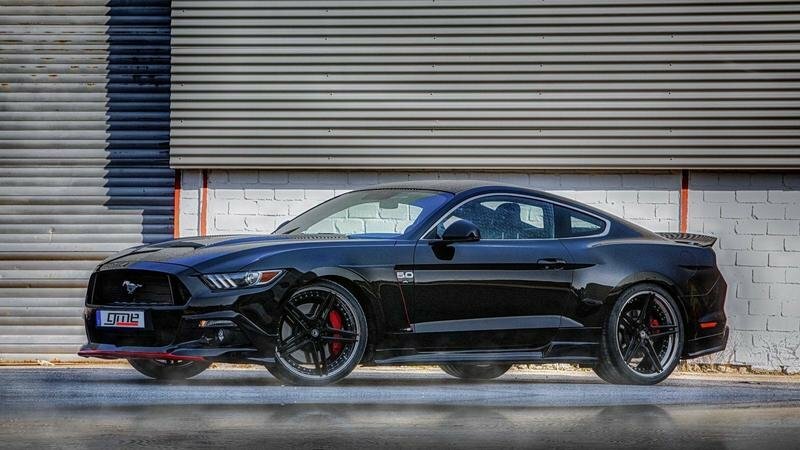 Whereas GME Performance’s exterior program for the Ford Mustang is more about substance than style, there is a way to get both in case there’s a need for them. Take Schropp Tuning’s kit for the muscle car as an example. Not only does it provide its own menu of aero kits – carbon fiber front splitter, side skirts, and carbon fiber pieces on the custom rear valence and trunk lid – it also has a flashy body wrap from WRAPworks in its tuning menu. Another program worth looking into comes by way of Geiger Cars. It’s offering for the Mustang’s exterior fits along the same mold as that of GME Performance. It’s heavy on the aero bits, which is made up of carbon fiber kit that includes a front splitter, side skirts, a trunk-mounted rear spoiler, and a rear diffuser. Regardless of what program is chosen, GME Performance makes a good account of itself with what it’s offering. 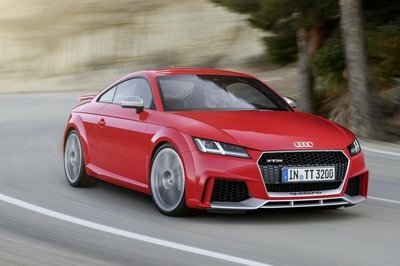 At the very least, it has the goods that can compete against what more established tuners are offering. 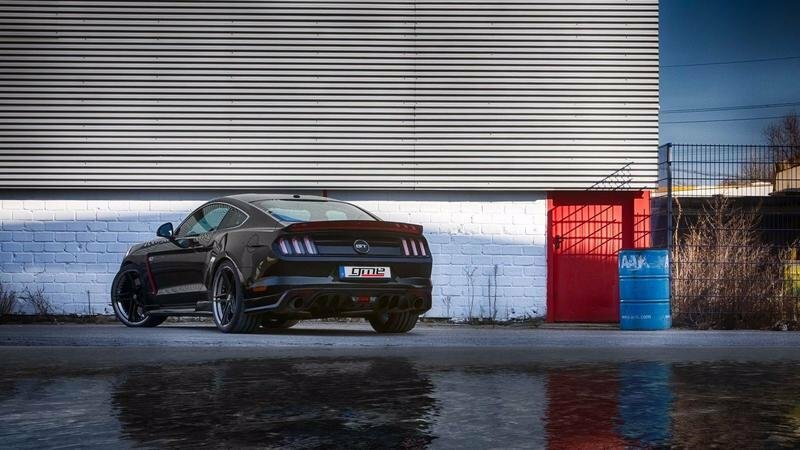 note: photos of the Ford Mustang SPF600 by Schropp Tuning and the Ford Mustang GT 820 by Geiger Cars. Interior from standard Ford Mustang. 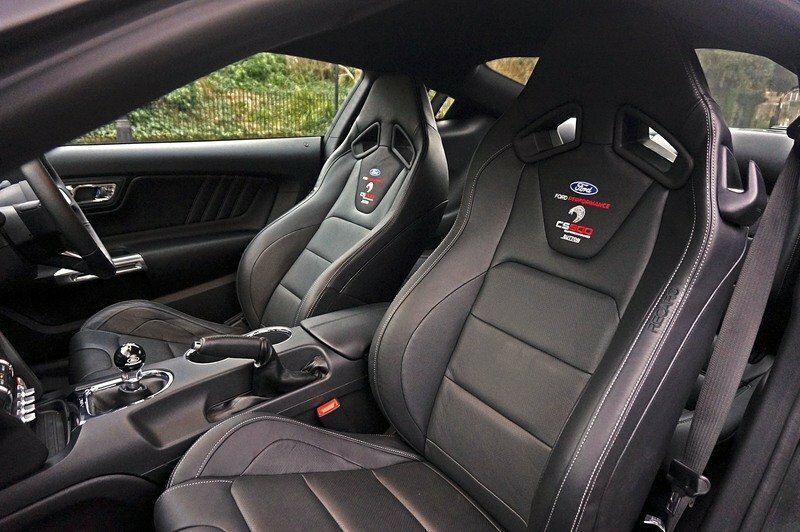 There are no interior upgrades to speak of as far as GME Performance’s program for the Ford Mustang is concerned. There are no interior upgrades to speak of as far as GME Performance’s program for the Ford Mustang is concerned. 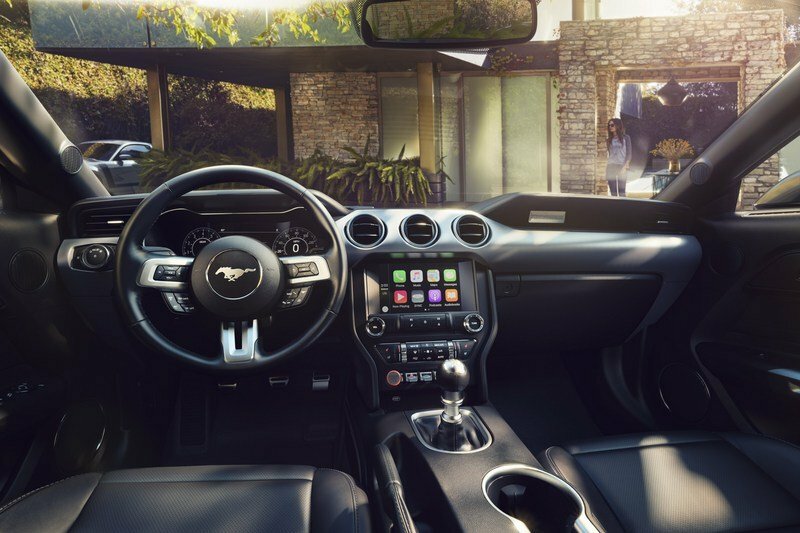 It’s not all that of a surprise since upgrades to the Mustang’s interior can literally go in so many directions. Most German firms though prefer to keep the cabin in standard configuration. Geiger Cars doesn’t have one in its program although Schropp Tuning is offering an Alcantara-wrapped steering wheel with a red strip at the 12 o’clock position and red stitching to boot. That’s about it though. There are some exceptions in this case. For example, British car dealer Sutton Bespoke has an incredibly comprehensive and bespoke interior upgrade program. It’s made up of a carbon fiber dashboard, custom Recaro sports seats, and a short-throw shifter. On top of that, the dealership is also offering what it calls the “Sutton Bespoke treatment.” Consider the option to get premium materials like Alcantara, Napa and English hides, wood veneers, and piano black lacquer, among other things, on your Mustang. It’s an interesting take to get all these premium goodies on a car more known for its performance than its refinement. Other options can also be considered on the muscle car, although this particular route usually involves going to dedicated tuners who specialize in interior upgrades. 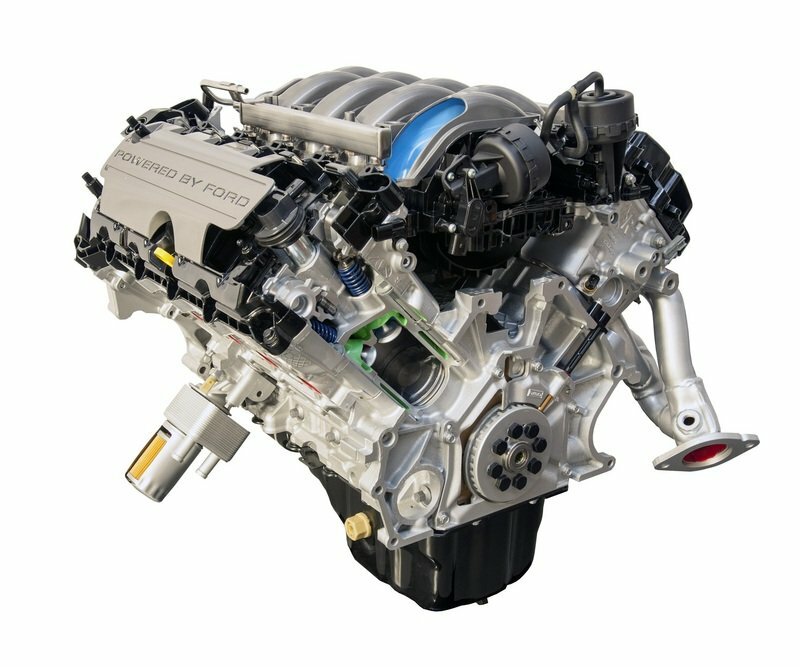 Note: standard engine of the Ford Mustang pictured here. GME Performance does well for itself by presenting an impressive engine upgrade program that starts with a new supercharger kit from Edelbrock. 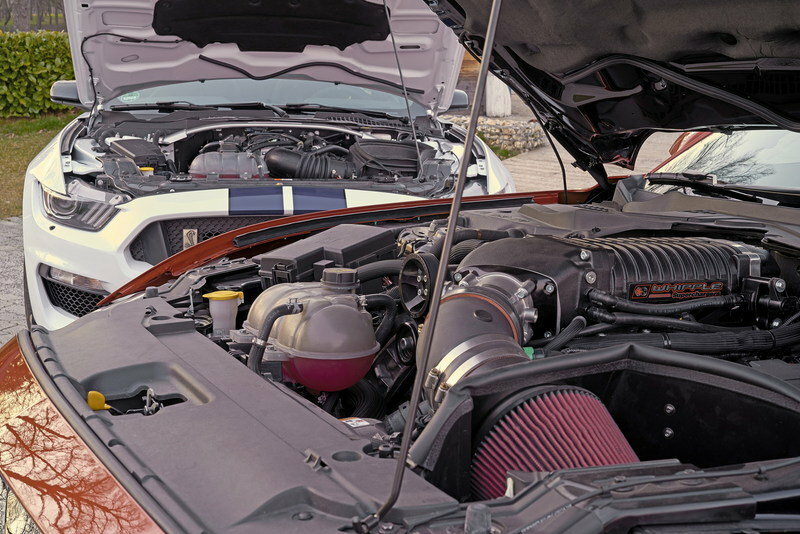 Like most kits for the Mustang, the name of the game is the engine upgrade. GME Performance does well for itself by presenting an impressive engine upgrade program that starts with a new supercharger kit from Edelbrock, in addition to new components like a new intercooler, an upgraded fuel delivery system, and the tried and tested software tune method. All these upgrades work in concert with a new stainless steel exhaust system that GME Performance built in-house and together, they’re responsible for increasing the Mustang GT’s output to an applause-worthy 705 horsepower and 590 pound-feet of torque. Not only does that represent gains of 250 horsepower and 145 pound-feet of torque over the 5.0-liter V-8’s standard output of 455 horsepower and 455 pound-feet of twist, it also helps cut the muscle car’s acceleration time to 62 mph to just 3.9 seconds, 0.4 seconds quicker than the standard model. Top speed also increased to 174 mph, although GME Performance somewhat curiously capped that figure. That’s a little disappointing when you compare it to what other tuners have to offer in that regard. If you’re in Europe and you have a Ford Mustang, you’re not going to run out of aftermarket tuners to choose from to get the programs you seek. In a lot of ways, tuners in the region have done a great job adapting to specific aftermarket requirements of a car like the Ford Mustang. Take Geiger Cars for example. It’s considered one of the most well-regarded German tuners of American performance cars and it proved as much (again) with the 820 kit. That program featured a 2.9-liter supercharger, a new crankshaft, forged pistons, steel connecting rods, a cold air intake system, and a stainless steel sports exhaust system. With all these components in place, the tuner was able to produce 820 horsepower and 560 pound-feet of twist for the Mustang GT. 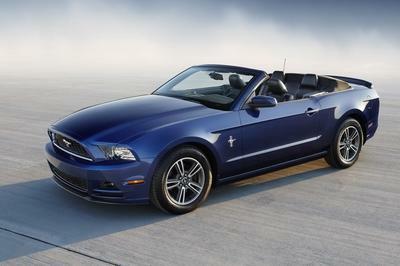 Note: Ford Mustang by Geiger Cars pictured here. If you’re not sold on Geiger Cars’ offer, there are other venues to go to as well. Schropp Tuning’s SF600R kit boosts the Coyote V-8’s output to 807 horsepower and 700 pound-feet of torque. That was accomplished thanks to a new Coyote engine block with upgraded cylinder liners, race-grade low compression pistons that are connected to a steel billet crankshaft, a high-flow oil pump, a custom exhaust system with four branch manifolds, HJS 200-cell free flow sport catalytic converters, and three-inch diameter pipes. The aforementioned Sutton Bespoke also gets in on the 800-horsepower act, thanks in large part to a Stage 2 Whipple supercharger, an upgraded intercooler, new injectors, and a larger throttle body. 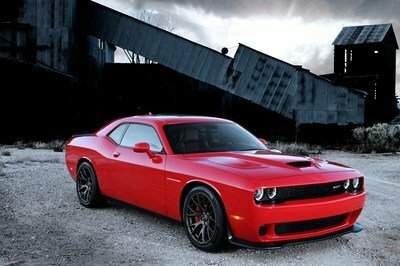 All told, the dealership was able to boost the muscle car’s power up to 800 horsepower. As for us here in America, the choice of Ford Mustang tuners literally has no limits. Two that come to mind though are Roush Performance and Hennessey. Roush even has a three-stage, Trak Pak program that includes an upgrade to 850 horsepower. That was accomplished by a great many additions, not the least of which are the supercharger upgrade and fuel pump booster kit that comes with the program. 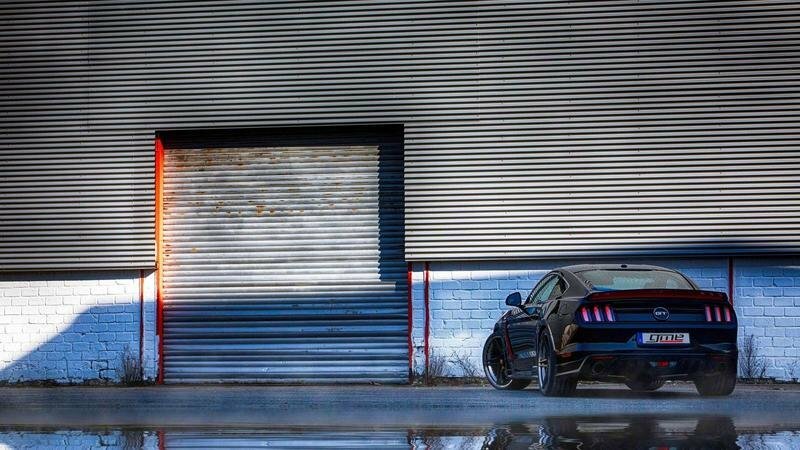 Hennessey has also proven itself to be a master of Mustang tuning with an array of programs that can help boost the car’s output to as much as 1,000-plus horsepower. Suspension upgrades for the Mustang come in the form of a height adjustable coil-over suspension system with separate bounce and rebound damper control. The whole set-up allows owners to use bespoke settings depending on the road or track conditions they’re driving their cars in. There’s no word yet on how much GME Performance plans to charge for its Edition 705 program for the Mustang. We do know that it’s asking €94,500 for the Jeep Grand Cherokee SRT8 kit it developed, donor car included. That converts to about $106,000 based on current exchange rates. Given that, it’s plausible that this Mustang program, car included, will cost around the same figure, give or take a few thousands. 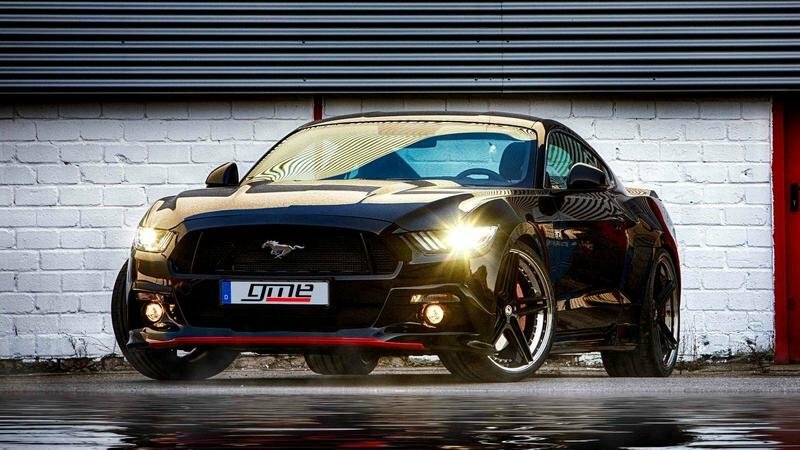 Think your Ford Mustang is good enough to get an aftermarket kit? 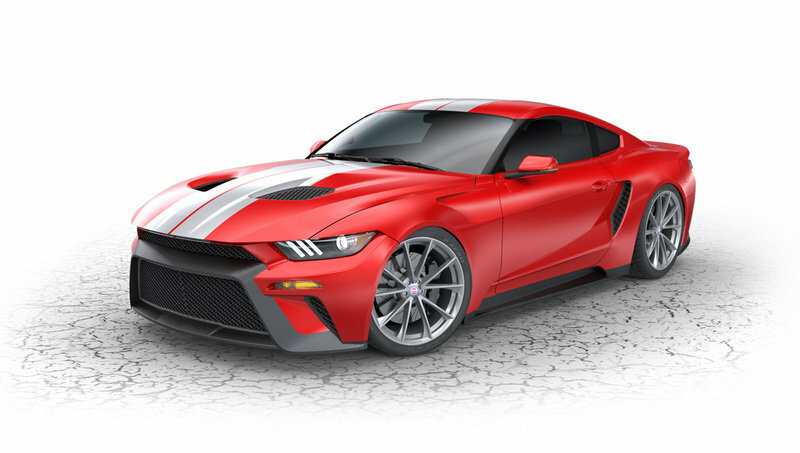 If you really want to push the envelope, you can take it to a whole new level by stripping away the visuals of the Mustang and installing a body kit inspired by no less than the Ford GT supercar. There’s a way to do it too and it comes courtesy of Zero to 60 Designs, a U.S.-based company that presented the Mustang Gran Turismo Tribute at the 2016 SEMA Auto Show. It can in some trouble from Ford because of it, but it looks like everything’s been worked out. For $125,000, you can get the whole kit car, complete with the looks and the 800 horsepower that Zero to 60 Designs is offering with it. 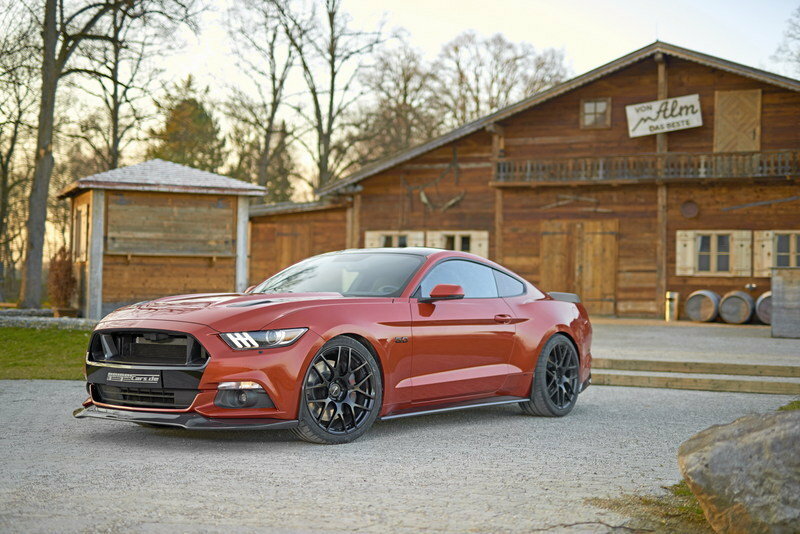 Since GME Performance’s program for the Mustang is dedicated to European owners of the muscle car, it goes without saying that U.S. customers will have a difficult time getting it. But those across the pond can, and for the trouble of getting the kit installed into the car, they’re getting a program that provides a significant number of upgrades to Mustang. The power figures may not be as high as some competing tuners, but if it’s enough to get someone interested, the tuner shouldn’t have a problem trying to sell the program to would-be customers.